The regatta was spoilt by heavy rain and flooding in the preceding fortnight resulting in the facilities for the regatta being well behind schedule. The facilities were not in place for the heats of the interstate races. The women's races were conducted with the men's races for the first time in many years. This was a strong win to NSW who led by 2 seconds at the 500 metres, 3 seconds at the 1000 metres and pushed this out to 11.6 seconds by the finish. NB: Up to 3 men's scullers per State were allowed. It was an interesting race with Peter Benjamin leading for the first 1500 metres. However he was unable to maintain this speed over the last 500 metres and was passed. This was a strong win to VIC. Interestingly SA may have had got second place if they had not stopped before the line. 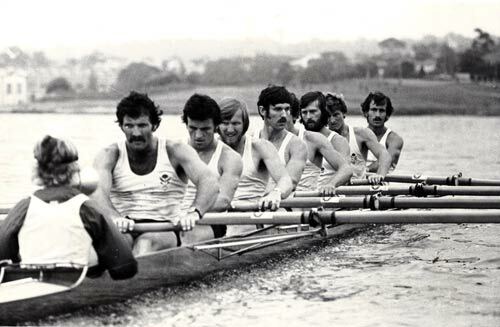 WA, NSW & SA were all fighting for second place but SA stopped before the line allowing the other crews to pass. Victoia led all the way and won strongly despite determined challenges from the Tasmanian crew. The women's open four championship race was re-rowed after a protest resulting in a win to Tasmania. However, even more controversy surrounded the withdrawal of the favoured Victorian crew by the Victorian selectors. The dispute arose over two matters, namely the appointment of Jack Bennett as coach and not favoured by the crew, and the non-selection of the highly experienced Pam Murray in favour of Wendy John. The crew favoured being coached by Peter Philp and the crew, Philp and one of the three selectors favoured Pam Murray in the crew. However the majority of the selectors, namely Jack and Kath Bennett disagreed and the crew was withdrawn by the Association for disciplinary reasons for failing to abide by the decision of the selectors. This was a matter of great controversy in an Olympic year with the press describing the behavior of the VLRA as petty. The Victorian crew won the National Championships convincingly defeating the Sydney University crew. However they were not selected as an Olympic crew being graded behind the men's crew by the selectors and below the team size cut off. 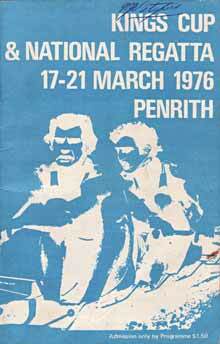 Everson of NSW won this race well from Renouf of Victoria. NSW led all the way to take out this event.